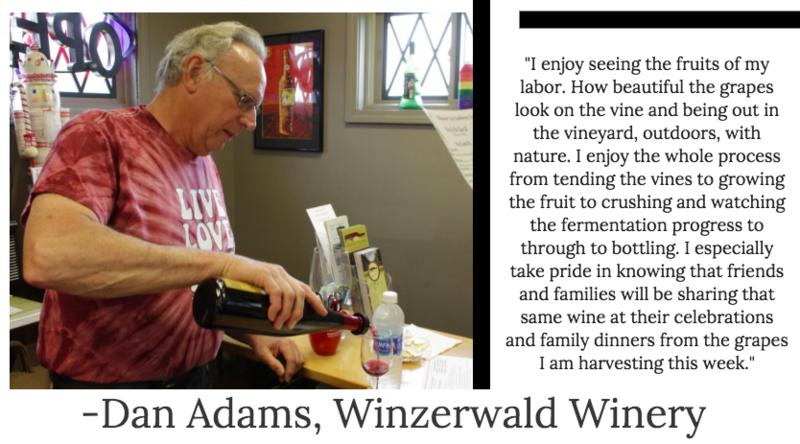 The Indiana Uplands Wine Trail has been in full "Harvest Mode" for the last few weeks! Most of August, September, and October you can find us out in the vineyards picking and beginning to press our freshly-harvested fruit. Most harvests are done in the morning, starting before sunrise to harvest the grapes while they're cool and keep the temperature low as they head to the press. This helps preserve the exact level of ripeness determined to be perfect for harvesting for each style of wine and each winemaker's goals. The winemaking process, of course, begins long before harvest: when winemakers are deciding where, when, and how much of a varietal to plant and determining the plans for many wines and many years to come. Spreadsheets and databases are created to plan and track the growing process, considering variables like seasonal temperatures and rainfall, and allowing for adjustments along the way. Each season has its own part in the winemaking cycle: Fall is for harvesting and beginning crush and fermentation, Winter is for pruning vines and moving new wines into the aging process, Spring brings opportunities to bottle some wines and begin testing others, and Summer is when the grapes are becoming ripe and we are maintaining leaf canopies and preparing for harvest. 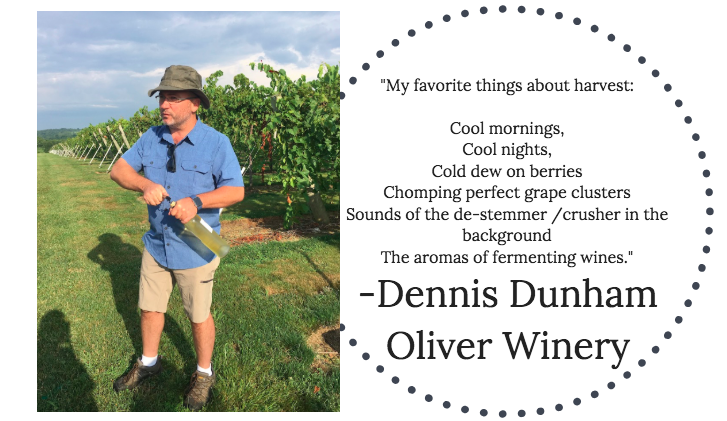 As the summer drifts on and the optimal balance of sunshine-days and rain-days is near, the winemakers will test the fruit frequently, often bringing samples into the lab every day to note levels of sugar, acidity, and flavor of course! With each opportunity to taste and test the fruit, the winemaking team can begin to narrow in on a window of time to harvest: sometimes we may leave the grapes on the vine another day or two if the forecast is clear while other times a rainy forecast for Friday can mean a speedy harvest for Thursday. 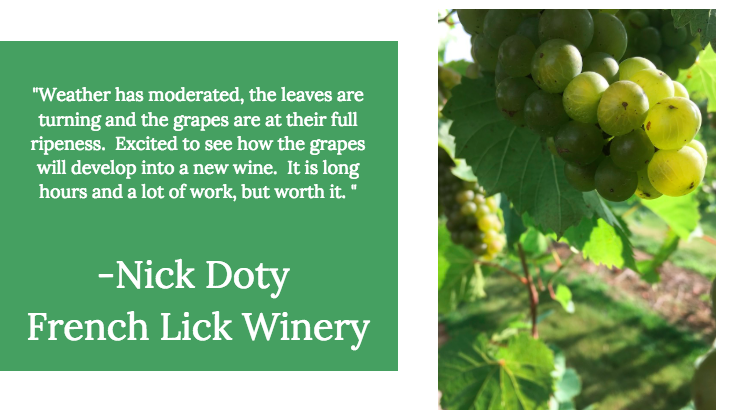 The ideal ripeness and chemical levels are determined by each winemaker and depends on the style of wine being made, the grape varietal, and the season's yield. 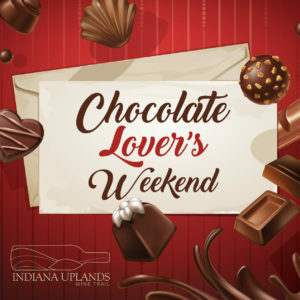 Of note, our location in the Indiana Uplands uniquely affects our ability to grow certain varietals and the ways we can mature vines, develop flavor, and maintain healthy soil for growing wine grapes. Winemakers choose varietals they believe will grow nicely given our south-central Indiana climate, topography, and soils. Our area, known as the Indiana Uplands, was officially recognized in 2013 as an American Viticultural Area (AVA). 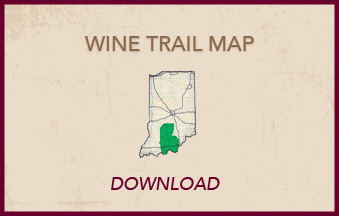 Now one of 238 AVAs in the country and the only one entirely within Indiana, we're proud to be the wine trail that represents this area. While the winemaking process is extensive and involves all aspects of a winemaking team, it's hard to deny that the most exciting (and most strenuous) part is harvest season! The vines are buzzing with hand-harvesters and mechanical ones, picking every last delicious grape and cluster from the perfectly parallel rows. Production teams work early mornings and into late nights to ensure the grapes and juices are handled perfectly along their journey into becoming wine. Some of the trail wineries even ask for volunteers to help during harvest season. They'll send out a request on Facebook or Instagram asking for help picking grapes, sometimes for a harvest the very next morning. 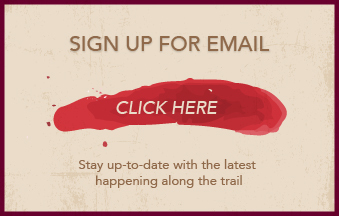 This is a great opportunity for our community of wine lovers and neighbors to become a part of the process and really get their hands dirty with us. 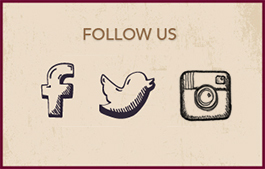 Make sure to follow all nine of the Indiana Uplands Wine Trail wineries on their social media pages if you're interested in hearing about opportunities to harvest! Look out for a Harvest Report soon- we'll tell you how each winery's crops turned out and give you a look at the wines you can start getting excited to taste! As you travel the trail and visit each winery this fall, ask about harvest and make sure to taste estate-grown wines along the way. Don't forget your 15th Anniversary Passport, only valid through 2018, and make sure to get all 9 stamps to redeem your IUWT stainless steel wine tumbler.